Today we’ll look at how to plant your pumpkin seeds for best results, whether you are growing for cooking, Halloween or competition. Before you can plant pumpkin seeds, you need to decide what is the best variety to grow for your purpose. It’s time to decide whether you are going to grow an heirloom variety or a hybrid. What is the difference? Well, heirloom varieties are those which have been around for a long time and allow for seed collecting for the following year. This is because they are open pollinated (marked OP). They are pollinated by bees, insects or wind, as nature intended and can be grown year after year. They tend to have good disease resistance and lots of flavor. 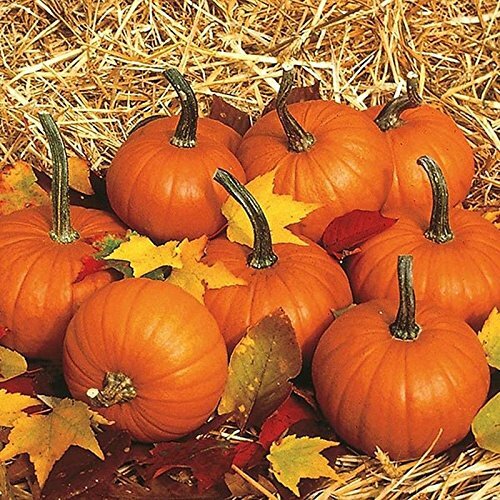 Hybrids are those pumpkin varieties that have been bred for specific characteristics. Some are open pollinated and from some you are able to save seeds, which will help increase biodiversity. But those marked PVP are licensed and seed is not permitted to be saved. 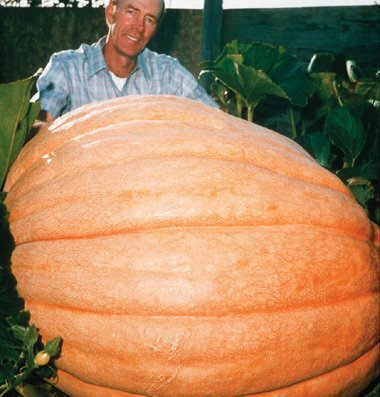 Many hybrids have been cross pollinated by humans to create new types of pumpkins for particular traits. You can’t collect seeds from these for the next year, but have to buy them each time. If you do try to grow from the seeds of these pumpkins, they are likely to be infertile or revert to one of their genetic ancestors. 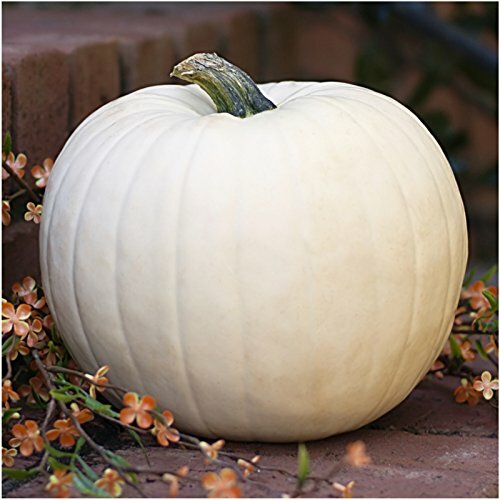 So if you need a pumpkin for a very special purpose you might choose a hybrid which has exactly the characteristics you require, but otherwise, planting pumpkin seeds from an heirloom variety will help to preserve them for future generations, and is much more sustainable in terms of growing a crop year after year from the same seeds. Anything with sugar in the name is a good bet for making the best pies! There are lots of great varieties available these days for cooking. It will largely depend on what your seed supplier has available, but some of the more popular ones are: Connecticut Sweet Pie, Baby Bear, Jack Be Little, Spookie and Winter Luxury. Once you have your delicious produce you can learn all about how to cook pumpkin so that you can make a scrumptious treat. Most of the larger varieties will be good for carving. 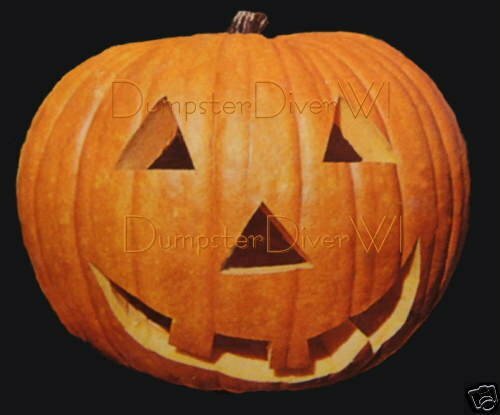 Of course the Jack O’Lantern, Happy Jack, Funny Face, Ghost Rider or Jack of all trades have obviously been developed just for the purpose. The Connecticut Field is a good heirloom choice as well. 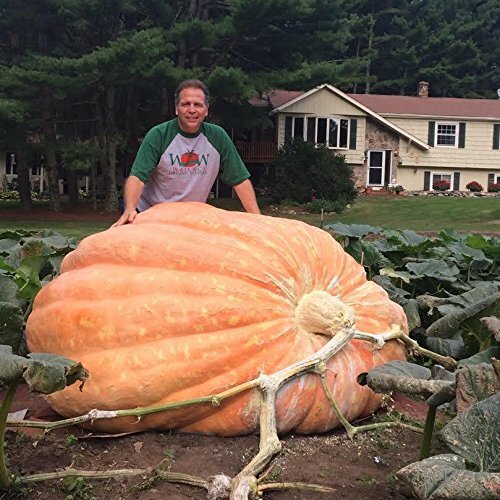 Most prizewinning giant pumpkins these days are grown from Dill’s Atlantic Giant Seeds. 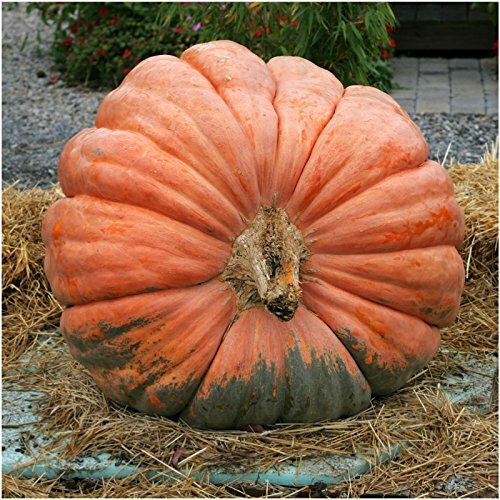 Other giant pumpkin seeds include Big Max, Big Moon, King Mammoth Gold, Prizewinner, and the Australian Heirloom variety – the Queensland Blue. 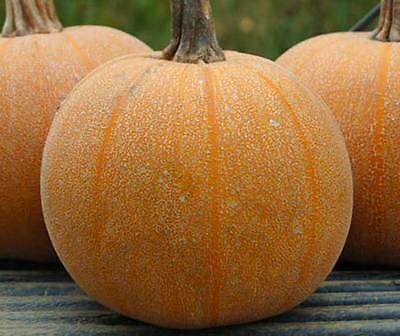 Pumpkins need a long frost free growing season of between 90 – 120 days. So if you live in a climate where you have a long warm spring and summer, you will be able to plant your seeds directly outdoors as soon as the danger of frost is past. 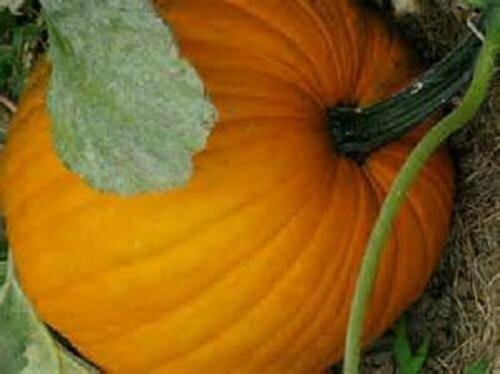 The best way to plant pumpkin seeds is in small hills or mounds. Build these up using compost and organic matter to a depth of an inch or so above the soil level. They should be about 2 – 3 feet across. Work in some manure so that there are plenty of nutrients, since pumpkins are heavy feeders. Make a small well in the center of your hill and plant four or five seeds covering them with about 1 inch of loose soil. Water gently with a sprinkler hose so that you don’t uncover the seeds. You should leave a distance of between 6 and 10 feet between hills depending on whether you are growing a vine or a compact (bush) variety. Once the seedlings are a couple of inches high, thin out to keep just the strongest plant. Don’t pull out the others, as you might damage the roots of the best seedling. Just cut them with scissors at soil level. 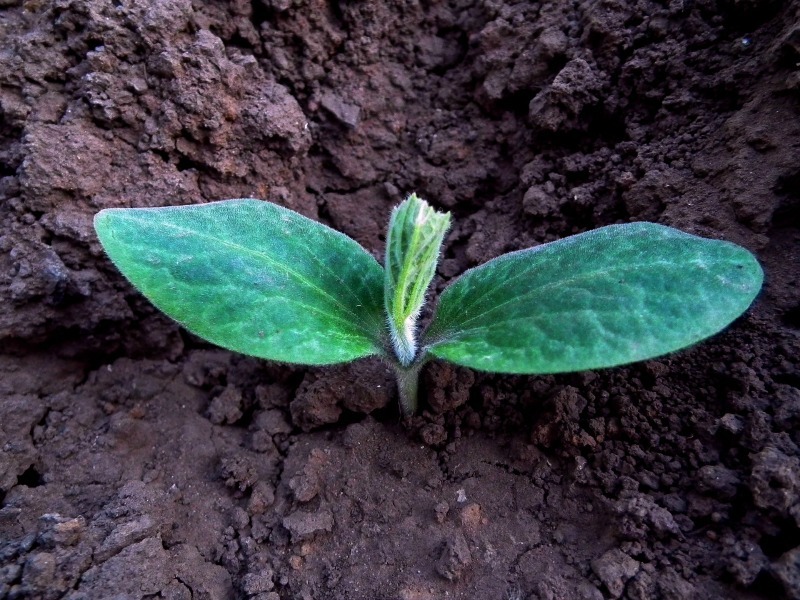 Seedlings are at their most vulnerable when they are young. They are very frost tender and need to be kept above 60F. If nights are cold you can protect the seedlings by placing a large plastic milk carton or something similar over them. Cut out the bottom first. Remove if it gets very hot during the day, or you will cook the seedlings. Make sure they don’t dry out, but don’t drown them with too much water either. It also a good idea to shield them from the wind too. Plant in a sheltered area, along a hedge or beside a building. 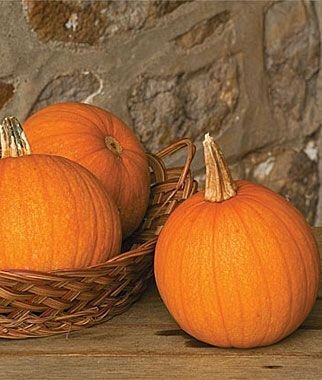 If you are short of space, you can grow pumpkins up a trellis. 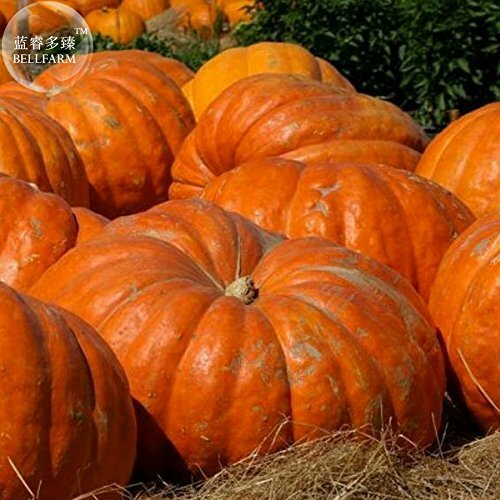 You can only do this with the smaller varieties, and even then, once the pumpkins start to get bigger, you’ll have to support them, using pantyhose or other material. Make a kind of hammock for the fruits and nail or tie the ends to a post or support. You could even train them up onto the roof of a shed or outbuilding if you had one. Pick off the fruits on the way up, and only let the ones grow on the top of the roof. You’ll have the benefit of keeping the fruit nice and dry, so the bottoms don’t rot. Many people have asked me how do you grow pumpkin seeds indoors and is it even possible? The good news is that it is, BUT you will eventually have to move them to a larger area to let your pumpkins flourish. In fact some people even recommend that you start your pumpkin seeds inside especially if you live in a cold area. 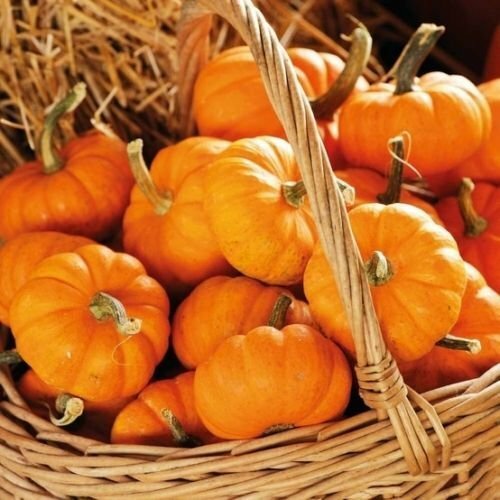 If you have a short growing season, or you want to get your pumpkins ready early for a festival or competition, then it might be a good idea to plant your seeds indoors, 2 or 3 weeks before you aim to put them outdoors. Work out when the last frost is likely to be in your area and work backwards from then. Planting indoors is also advisable if you’re planting naked seeds (seeds without a hull), as they are more difficult to germinate and more prone to rotting in the ground. Use a sterile potting mix: you can buy it from a garden center, or make your own. Planting pumpkin seeds in biodegradable pots means that you can plant them straight out without damaging the roots of the seedling since these post will gradually break down into the soil. Otherwise, you can use yogurt or cream pots. 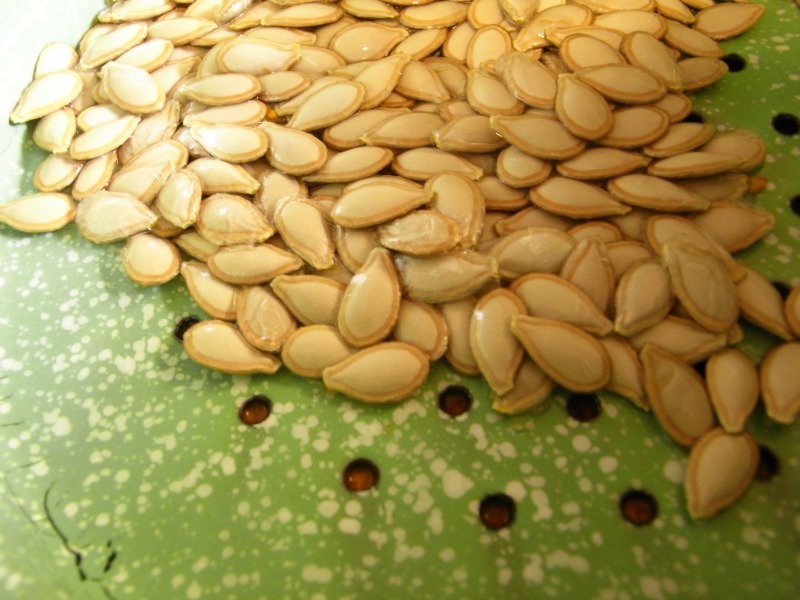 What is the optimum germinating temperature for pumpkin seeds? 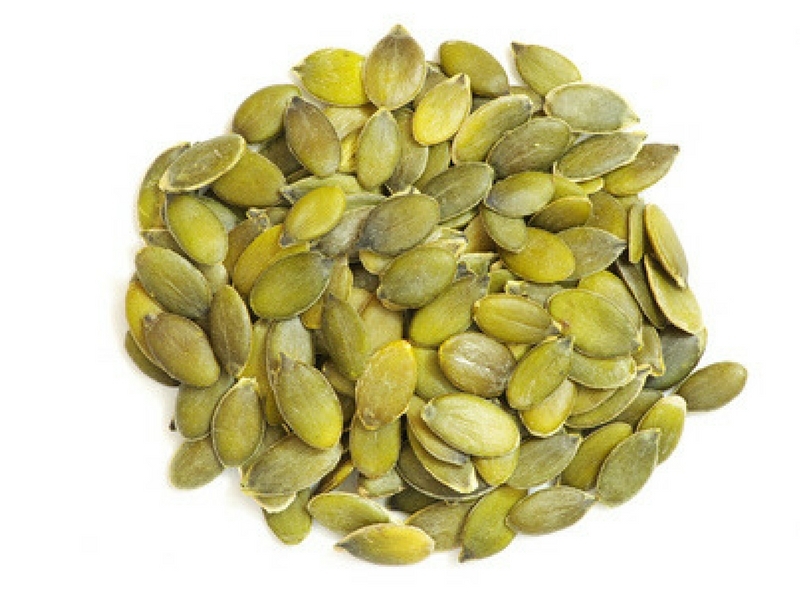 The optimum temperature for germinating pumpkin seeds is between 70-95F. They shouldn’t be allowed to get any colder than 60F. So if your soil temperature outdoors is going to be colder than that, its wise to start them off indoors. The best light is one that comes from above, so consider putting the seedlings under a florescent light. If you have to put them on a window ledge, turn them each day, so they don’t get leggy reaching in one direction for the light. Water gently with a spray never letting them dry out completely. Once the seedlings are 2 – 3 weeks old you can start hardening them off, ready to plant outside. Hardening off means preparing them gradually for the shock of transplanting. First put them outside in a shady spot during the day only. Then if its not too cold, leave them out all night. Then day by day let them get a bit more sunlight, until they are in full sun all day. Let the top of the soil become dry before watering now, but don’t let them dry out. Now you are ready to plant them in the soil. Plant them one seedling to a hill, as described above. Try not to disturb the roots as you do so, and if you are planting them in a biodegradable pot, break open the bottom so the roots can escape and make sure that the whole pot is covered with soil. Cover the hills with a straw mulch to keep the weeds down. You shouldn’t need to do much more to get a fantastic pumpkin harvest. But do keep the weeds down, taking care not to trample around the vines too much as you can damage the delicate roots. It’s best to hand weed when necessary rather than use any tools for the same reason. If you like you can give a liquid feed every couple of weeks once the fruits start to grow. 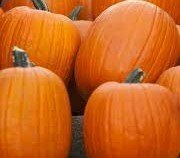 In three to four glorious months you can look forward to harvesting your pumpkins and enjoying the fruits of your labor. Is there anything else you would like to know about planting pumpkin seeds and harvesting pumpkins?